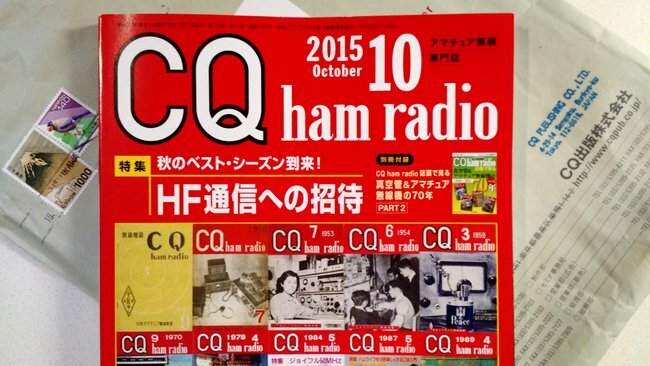 Two weeks ago, I received a mystery package in the mail: a copy of the October 2015 issue of CQ Ham Radio magazine, sent directly from the publisher in Tokyo, Japan. Supplement magazine shipped with the October issue. Since I can’t speak or read Japanese, I was very confused why I would receive a copy. Out of curiosity, last week, I opened the magazine to see what sort of articles it contained. In short: I was very impressed. While I couldn’t read the content, of course, I was able to get an idea of the scope of this magazine–it contained numerous articles, news items, reviews and photos. I was pleased to note a section that focused on good etiquette for amateur radio exchanges in English. After all, if you are a Japanese DXer, you will need to know enough English to log DX stations around the world as English is the staple DX language. Japanese hams are well known for their excellent on-air etiquette–ask anyone who has been on a DXpedition. The magazine is thick, too; most of the pages are black and white news print, but there are several color/glossy sections as well. This particular issue was even mailed with a separate supplement magazine containing a history of ham radio ads throughout the years. I thoroughly enjoyed the trip down memory lane. 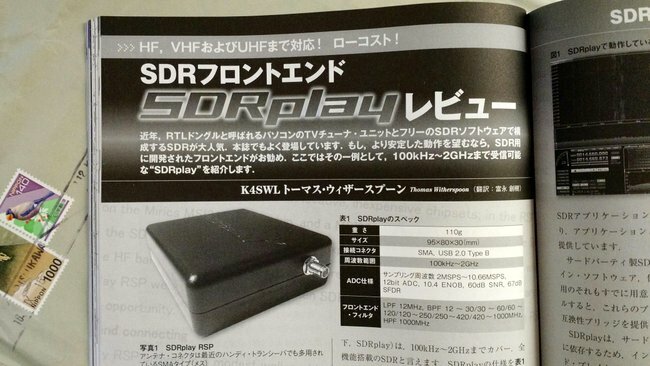 Once I landed on the page above, I quickly realized why I had been sent a courtesy copy of the magazine: my SDRplay RSP review had been translated and published. It was then I remembered granting permission to have the article translated into Japanese for a ham radio magazine. I had completely forgotten! I’m honored my review was printed in CQ ham radio, but most of all, it has been fascinating to browse through what appears to be an excellent radio publication. I offer my gratitude to the translator who took the time to edit my article. This entry was posted in Articles, News, Shortwave Radio and tagged CQ Ham Radio, CQ Japan, Japan, SDRplay RSP on October 15, 2015 by Thomas. text so foreign. You do want to know what the text is saying. 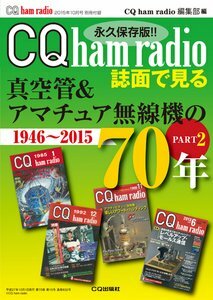 Sounds like a real honor to be recognized by having your article translated in CQ Ham Radio, they must have been impressed with it. Congratulations to you Thomas. Congrats! Very cool! How exciting to think something you have written is being read literally around the world!! Well done!